It’s that chilly, wintery time of the year when every part of your body is calling out for comforting, delicious food as well as some wonderful drinks and camaraderie. Fortunately, for us, it’s also the time of New York City’s Winter Restaurant Week celebration. Now, continuing through February 8, you can sample some of the city’s most exciting restaurants at very affordable prices. Specifically, a two-course prix fixe lunch costs only $26 and a three-course prix fixe dinner is priced at $42, kind of the bargain of the year. 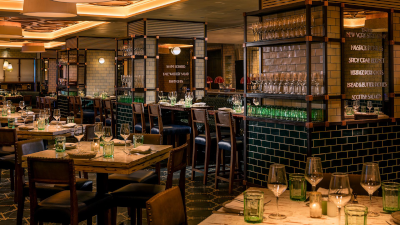 Reservations for the hottest restaurants go quickly, so have a few choices in mind when you go to book online or by phone. With 368 restaurants to choose from, in locations throughout the five boroughs, you shouldn’t have a problem. 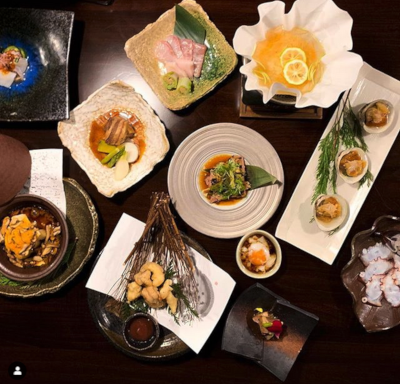 The only problem will be deciding where to go among the 33 individual cuisines represented – and you definitely should go to more than one. Need a little help? The booking site is smartly organized with headings like NYC Classics, Fireside Feasts, Raise the Steaks, Best-Kept Secrets, Squad Goals, Dinner Is the Show, Expense It, and Sunday Brunch. Book online at nycgo.com/restaurantweek. There’s no such thing as the January or February Blues in New York City. 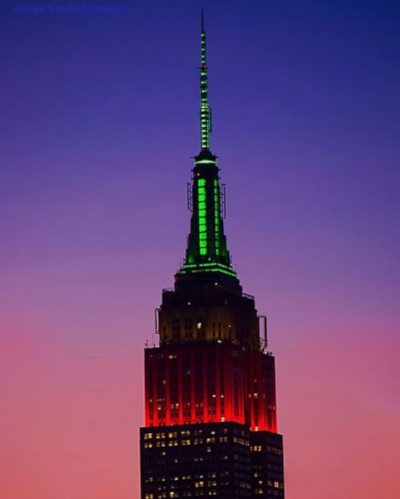 This year New York City has three exciting programs, all happening at once and offering substantial discounts for dining, theater, and iconic NYC activities. Called “New York City Winter Outing,” all three programs last through February 10, giving you at least a week to figure out everything you want to do and connect with your friends. NYC&Co. has created the overall umbrella to help you overcome your FOGO (Fear of Going out when it’s cold) But this is something that will actually give you a case of FOMO (Fear of Missing out), so don’t wait. Do it all. Get your calendar ready. Pretend you’re a tourist here. Or, if you are a tourist here, revel in the fact that these wonderful programs exist. To add to them, a CityPASS for NYC, might just be the admission ticket to help you wrap everything together. Several pricing options exist and it’s a lovely bargain as well. In separate posts, I’ll take you through the intricacies of each with my recommendations for how to navigate this wealth of activity and deals and decide what to do. Restaurant Week (through February 9) with its 2-course $26 lunches and 3-course $42 dinners, New York City Broadway Week offering 2 tickets for the price of 1 (through February 10) and Must See New York Week with 2 for 1 tickets (through January 10) to quite a lot of New York’s most iconic sightseeing and experiential choices. For those of us who live more modestly, Newport (https://www.discovernewport.org/) holds much appeal beyond this fantasy life of the rich and famous of the 1880s. It’s also the playground of the sailing and yachting set and known for the America’s Cup. 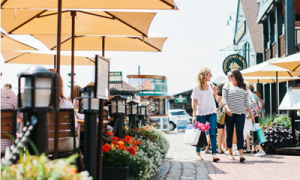 Newport is a walkable town with quaint New England shops, beautiful flowers, stunning buildings, and oodles and oodles of history. It also remains a beacon to what is possible: having a port that early on rivaled that of New York and Boston, and serving as a haven for religious freedom from as early as 1639. And if the fresh ocean air doesn’t capture you with its salty perfume, the friendliness of the locals certainly will. Newport will always be a place to visit again and again. 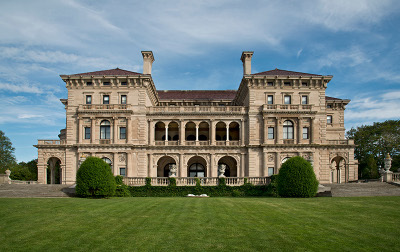 I have returned to Newport many times, in different seasons, and have had a wonderfully enriching getaway each visit. The regatta and racing season may not begin until June, but spring is equally delightful in this elegant seaside town. Walking past the historic and architecturally significant International Tennis Hall of Fame (https://www.tennisfame.com/) or stopping at the quirky Audrain Automobile Museum (http://audrainautomuseum.org/) for more dreaming and drooling — this all add to the appeal of the city. 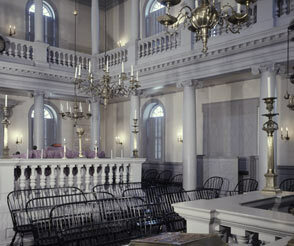 Newport is the home of the oldest synagogue in the United States. The 1763 Touro Synagogue welcomes visitors on a guided tour where you learn about the beginnings of the Sephardic community in the United States and George Washington’s inspirational letter to the Jews of Newport. The letter, written in 1790, is read annually to the congregation and visitors. The synagogue sits on Newport’s Historic Hill with the neighboring Seventh Day Baptist Meeting House dating from 1730 and the 1835 Levi Gale House. 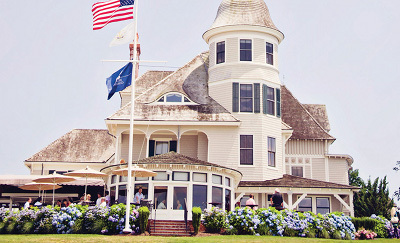 Driving along historic Ocean Drive, one of the country’s most distinguished and beautiful residential roads, leads you to the premier destination for a Newport getaway, The Castle Hill Inn (www.castlehillinn.com/). Built in 1874 as a summer house, the landmark Victorian mansion delivers an experience that conjures up a stay among the society folks of the Gilded Age. With its sloping lawn and Adirondack chairs strategically placed for optimum bay breezes as well as views of neighboring Rose Island and Pell Bridge, Castle Hill Inn regally welcomes you for a classy, peaceful stay. The resort itself has many areas: the main inn rooms and their adjacent Harbor House and chalet accommodations; a main dining room, private dining area; two bars; a spa; a living room; and a line-up of individual beach cottages and houses where you walk across the sand to arrive at your own private house with fireplace and indoor and outdoor sitting areas. For beach lovers, no matter the season, the Atlantic Ocean-facing cottages should be your choice of accommodation. The morning air and unblemished sand invite you to stroll along the shore while you search for sea glass that frequently washes up here. It’s a short drive up the hill to the main house where breakfast, lunch and dinner are served in the oceanview dining room, and where a reservation for Sunday’s jazz brunch is de rigueur. If you would prefer to stay in the main inn, the bi-level turret suite with its sweeping views of Narragansett Bay is pure Victorian bliss. Last spring, I participated in the resort’s cooking school, let by Executive Chef Lou Rossi and Executive Pasty Chef Matthew Petersen. In the Inn’s lawn kitchen which serves guests outdoors during the warmer months, we learned how to make exquisite bakery items. My favorite was twirling the dough around my finger to create a somewhat round bagel. Others were more adept than I, but that was part of the fun. I had never tried anything like that before, and I loved it. I also loved making savory quiches and fruity crepes along with croissants with their many layers and pounds of butter. As we got more inventive, we made mini versions that replicated the larger croissants, just to see if we could. After a day of rolling, pounding and filling doughy, carb-filled creations, it was important to celebrate our successes with a Champagne toast and some wondrous cocktails. Beverage Director Anthony Boi showed us a number of variations on the Bloody Mary, to perfectly complement our brunch menu. The Inn’s specialty, and a riff on a New England standby, uses tomato-flavored vodka and adds clam juice to add a bit of salt-air intrigue. Executive Chef Lou oversees the curved oceanview dining room and crafts a changing menu of farm (or sea) to table international and regional choices. The Inn’s Sunday jazz brunch is popular among locals as well as guests and should be booked well in advance. Don’t miss the decadent lobster hash topped with poached eggs as well as any of the baked goods from Pasty Chef Petersen. In addition to offering the perfected Bloody Mary, the bar features a selection of more than 800 wines, acclaimed by Wine Spectator with the “Best of Award of Excellence” for the past 10 years. 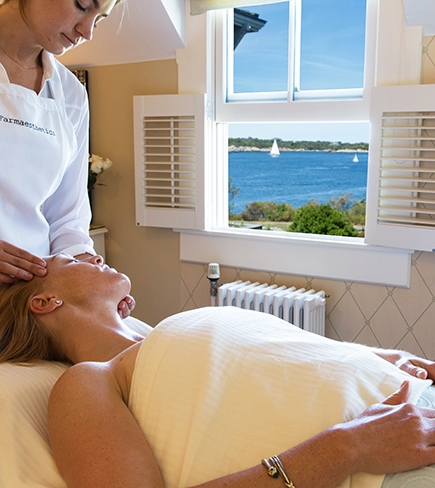 To end winter, treat yourself to a “Retreat to Romance” weekend, filled with the indulgence of a couple’s massage at the Spa and Farmaesthetics Fine Herbal Skincare products along with the healthfulness of farm-to-table dining. Stay for two nights and toast the vernal equinox with a bottle of Champagne in your room adorned with flowers. The Inn’s decadently refined Afternoon Tea adds to the romance and rejuvenation. Families aren’t forgotten either. Castle Hill’s popular Easter Weekend kicks off on Saturday morning April 15 with the annual Easter Egg Hunt on The Lawn and throughout the gardens. Proceeds from this event benefit the Child & Family of Newport County fund. 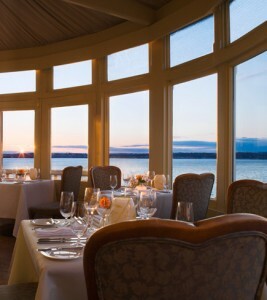 Brunch on Easter Sunday celebrates the bounty of spring in the hotel’s oceanview dining room. For reservations, call 401-840-3800. If you can tear yourself away from the calm and indulgent setting of Castle Hill Inn, Newport beckons with a lively dining scene. 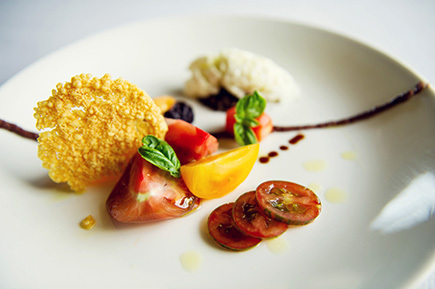 From March 27-April 7, it’s Newport’s Spring Restaurant Week https://www.discovernewport.org/newport-restaurant-week/), a great time to sample local dining at great prices. 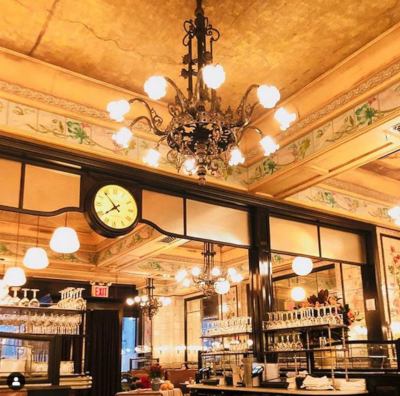 More than 50 restaurants will be offering a three-course prix fixe lunch for $16 or a three-course prix fixe dinner for only $35. Two of my favorites are among those participating this year. The bi-level Midtown Oyster Bar (http://www.midtownoyster.com/) is always hopping with its sailing crowd (even in the off-season) and live music at the bar. The crudos, ceviches and oysters from the raw bar are top-notch. 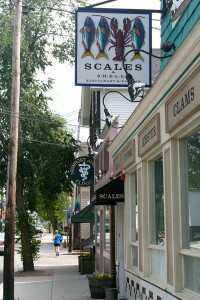 Scales and Shells Restaurant and Raw Bar (http://www.scalesandshells.com/) just down the street is another Newport favorite, an all-seafood experience in a comfortable setting. Be sure to order their New England clambake – there’s nothing like a grilled New England lobster, except perhaps a steamed or hot boiled one. The restaurant has an extensive oyster selection that changes daily and great artisanal beers. Grab a yellow daffodil pin and join the locals and visitors who celebrate the end of winter and the birth of spring with The Newport Daffodil Days Festival (http://daffodillion.com/daffydays/) from April 15-23. This 10-day event coincides with the emergence of half a million daffodils throughout the city. A calendar of events shows parades, bike tours to view daffodil fields, garden visits and a back-in-time lawn party at the historic Bellevue House. I’ve already told you why you should visit the Bronx now, but here’s another good reason: “Savor the Bronx.” The Bronx’s version of restaurant week lasts through November 14. “Savor the City” Restaurant Week has 25 participants offering fabulous deals for lunch and dinner, and in some cases for both meals. You’ll need to contact each restaurant when you make your reservation to find out which meal applies and whether there are any restrictions. Where indicated, L means lunch deal is offered for $16.41, and D means dinner is offered for $20.14. Now’s the time to explore the Bronx — visit the Zoo, the Botanical Gardens, shop the markets on Arthur Avenue, stroll along City Island, and eat, eat, eat. You can even pretend you know Dion and the Belmonts. The city’s exodus to the beaches is a boon for diners who remain in the city. 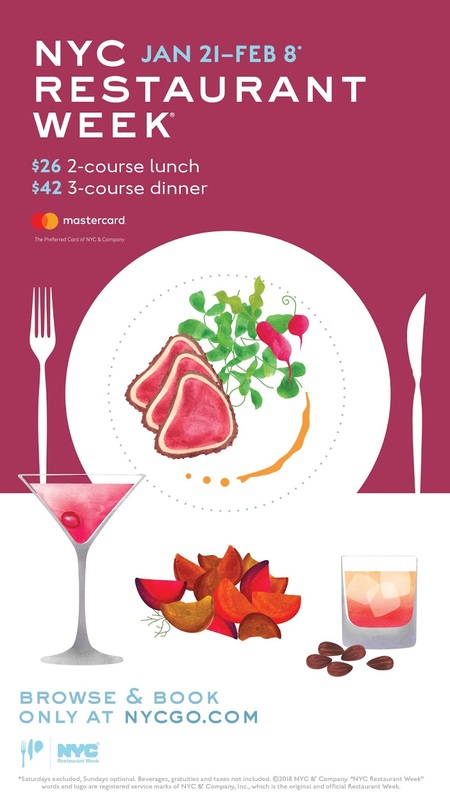 Lasting almost a month from July 22 through August 16, the 21st year of New York City’s restaurant week is ready for booking. This is the time to score a prized table of some of the city’s most desirable restaurants. The 300 participating restaurants feature $25 three-course prix fixe lunches $38 prix fixe dinners. Most time slots are during the week for lunch and dinner, with a few left for Sunday lunch and dinner. This year, there are restaurants from Queens and Brooklyn making an appearance. We say, bravo! Here’s to eating with panache and change in your pocket. The full list of restaurants including menus is available online. Call now so you don’t lose out. The beginning of the year is always a great time to kick off new foodie traditions or put into place some food-related resolutions. This year’s start of Restaurant Week coincides with two exciting culinary programs, one new and one a favorite, that are sure to please all ages.